How does part orientation affect your 3D printed parts? In all the traditional manufacturing processes, orientation is a parameter which has an impact on the feasibility of the part. A bad orientation choice will make the part complicated to produce, and will raise the cost of the final part. With machining, you try to minimize machining time, and thus, to minimize the number of operations and positions. With casting, you try to find the most simple mold. In all cases, the technology and the orientation of manufacturing are parameters that need to be taken into account as soon as part conception begins. Some additive manufacturing processes are not impacted by orientation when it comes to the feasibility of the part, that’s mainly the case for powder-based technologies such as SLS or HP Multijet Fusion. With these technologies, part orientation mainly has an impact on the quality of the final part. Choosing your part orientation needs to be done according to the use of the part. Thus, when placing an order at Sculpteo, you are the person who knows best how the part should be oriented. However, it is also essential to have a basic knowledge of the limits of each technology in order to choose the right orientation. As a result, every part is controlled and oriented by one of our experts. In the past, it used to be possible for expert users to choose part orientation themselves after a few successful orders on our website. With the evolution of the sector and the democratization of additive manufacturing, as shown in the State of 3D printing, we think that all customers can choose part orientation, starting from your first order, for the SLS, MultiJet Fusion, and Colorjet technologies. Every part is still controlled by an expert, who will choose part orientation only if you didn’t set it yourself. If you want to orientate your parts, you need to go to the “orientation” part when you are on our Print page. There, you can orientate your part with the buttons that make your part rotate around the 3 axes. Then, you need to save these parameters. There is one case where part orientation choice has a direct impact on the price: Batch control. When you order more than 20 identical parts, the Batch control option is unlocked and you can directly book some volume in our machines for your parts. It decreases the cost per unit of your parts, as it mainly depends on the height. Choosing an orientation that makes the height of your volume decrease will lower your final cost. In this part, discover the main criteria we use in order to choose the part orientation. Part orientation is chosen depending on the final use of the part. You need to choose the dimensions, surfaces, details, and directions that need to be prioritized depending on this use. Once you define the top priorities, you need to adapt yourself to the technology you’re using, and to choose part orientation which matches your needs. Powder-based technologies share some similar aspects. 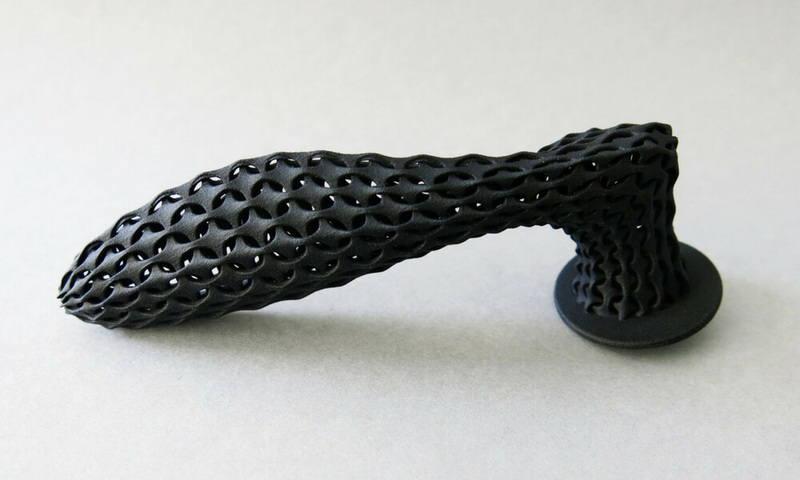 The staircase effect is the fact that the 3D printing layers become visible because of a small angle of the surface of your object on the XY plane. What should you do to avoid this? You can either avoid having any angle or having a more important one, as shown in the picture. Just like foundry, powder-based additive manufacturing is a technology which implies a change of state of the material, from solid (powder) to liquid, then from liquid to solid again. During this second change of state, some thermal deformation may occur on the vertical surface when the section varies too quickly. To learn more about thermal deformation in 3D printing, you can refer to our previous blog post on this topic. Finally, the parts manufactured using these technologies have anisotropic mechanical properties, meaning that they have different properties depending on the axis. Usually, the mechanical properties are not as good on the Z axis than on the X and Y axis. What should you do? As a result, you’d better place the zones that will experience a lot of mechanical constraints on the X and Y axis. Now that you know the basics of part orientation, let’s focus on the specificities of each technology! Manufacturing parts with an SLS 3D printing can be simplified in 2 steps: a fine layer of powder is deposited, and then a laser fuses the material according to the desired shape. The same process keeps going until the 3D printed part is complete. There are two main phenomenons that influence the quality of your part depending on its orientation. First of all, the precision on the Z axis depends on the height of the layer, and thus, it varies slightly from one layer to the other depending on the powder particles. On the other hand, the precision on the XY plane depends on the laser’s movement mechanism, which is regular and precise. The second phenomenon comes from the laser itself. When the laser heats the plastic powder, the melted zone has a shape similar to a paraboloid bowl of a height of several layers. This is what makes it possible to link layers one to another. The powders used generally are thermoplastics, meaning that the heating cycles almost don’t cause any damage. What should you do? The surfaces that need to have a perfect look are generally oriented downside, in order to benefit from softened edges. On the other hand, if your part contains some engravures, they will need to be oriented upside in order to get sharp edges. These two phenomenons impact the quality of your part depending on its orientation. 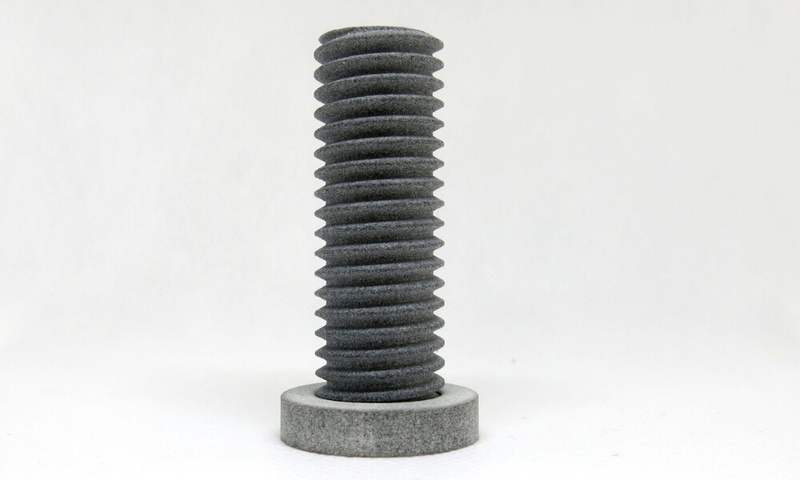 There are numerous other phenomenons influencing the quality of your part, such as the powder, the environment, the position inside the 3D printer batch, and the parts located next to your part in the 3D printer. The HP Multi Jet Fusion Technology shares some similar phenomenons with the SLS technology. First, here’s a quick reminder of how the technology works. This 3D printing technology is in 3 steps: a fine layer of powder is deposited, then a fusing agent and a detailing agent are deposited according to the part’s shape. Finally, some lamps heat the powder to fuse it. Then, this cycle starts again until the part is complete. Just like with the SLS technology, the precision in Z is lower than on the XY plane. With this technology, the precision in XY depends on the mechanism which deposits the agents drops. As a result, we strongly advise you to put the important dimensions on the XY plane, as well as the symmetry axes, and the orthogonal revolutions. With the HP Multi Jet Fusion technology, drops are deposited on powder in order to make it fuse. This drop implies, just like with SLS, a softening of the edges that are oriented downside, and a sharpening of the ones that are oriented upside. Here again, we advise you to orient the faces that need to have a great aspect downside in order to get softened edges, and to orient the areas that require sharper edges upside. Moreover, orienting esthetical surfaces downside helps to avoid the depression that can occur on the upper surface. 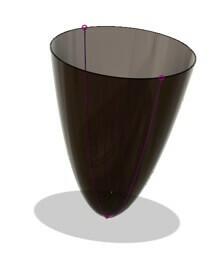 Finally, for geometries that are very thin and round, such as glasses, we advise you to orient the thinner parts downside. The Colorjet technology allows 3D printing parts in several colors. To do so, some drops of colored ink are deposited on some composite powder. The parts are fragile when they get out of the machine, and they’re glued afterwards to solidify them. However, they remain fragile. As a result, the parts manufactured with this technology are mainly used for aesthetic purposes, and it’s important to limit the visibility of layers. Based on our years of expertise, we can say that busts are of higher quality when they’re oriented vertically, and full bodies are of higher quality when they’re oriented horizontally. At Sculpteo, we offer you a wide range of other 3D printing technologies for which you can’t choose the part orientation. Our expertise is at your service to manufacture parts of high quality. For the majority of these technologies, the main factor that we need to take into account when choosing part orientation is dealing with supports. 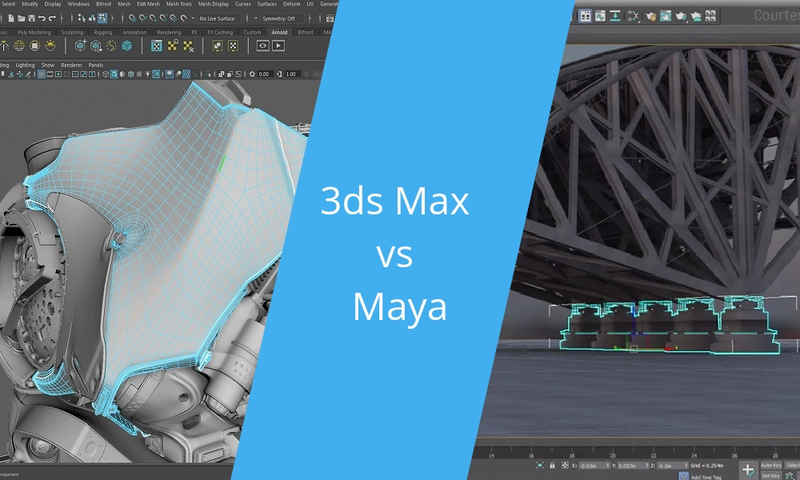 Indeed, we need to choose which zones will have some supports, which surfaces, which kinds of supports, and to plan the support removal operation in order to limit the marks on your object’s surface. For resin based technologies, such as CLIP, we need to take into account the resin flow so that there’s enough that is polymerized, but so that no resin gets stuck inside your parts or the supports. Finally, metal 3D printing technologies such as SLM and DMLS, also require supports. Moreover, their laser is way more powerful, which amplifies any little defect of your part. Thus, choosing the right orientation is critical. Part orientation is a parameter which has a strong influence on the quality of your object, but it’s not the only one. We can quote some of them, for instance: powder, environment, position inside the 3D printer batch, other objects that are next to it in the 3D printer… You need to take numerous parameters into account to get the best parts. At Sculpteo, we do our best to anticipate all of these elements in order to manufacture high-quality parts for you. Do you want to start working with us? Or do you have some questions regarding part orientation? Feel free to reach out to us!